In sharp contrast to the blazing morning sun during the day's Kadayawan festivities, a cool light evening rain made a trip to one of Davao's popular gourmet establishments extra special. Just a few minutes drive from The Marco Polo, Bingoy's is known for its classic Spanish inspired cuisine and modern take on local Davao favorites. As soon as we arrived, we were immediately welcomed by Bingoy's lovely owner Mary Ann "Baby" Montemayor and her husband Bingoy, whose love for good food is evident with many of the restaurant's signature dishes. A fine dining establishment with a noticeably formal and elegant look, yet one can sense a warm and casual vibe that almost feels like dining at the home of the restaurant's owners. Baby Montemayor then describes the menu for dinner, as glasses of wine were served, and you just know dinner was going to be special. Traditional and comforting American food, a diverse melting pot of flavors with traces of European, Latin and Mexican cuisine, all in one place. From August 22 to 29, the Diamond Hotel's Corniche holds the "All-American Feast" U.S. Food and Wine Festival with featured international chef Christopher Gallaga of Fat Angelo's at the helm. American favorites such as Roast US Prime Rib, New York style pizza, country cured Virginia Ham, Maryland Crab Cakes and Sbrimp and Grits take center stage along with other buffet staples from the Corniche. Plus, chef Christopher Gallaga also brings one of America's iconic dishes...the Turducken. Bigger is definitely better at the All-American Feast U.S. Food and Wine Festival at Corniche. Turkey, duck or chicken? Why not have all three. The Turducken Turkey up close...a whole roasted turkey stuffed with boneless duck and chicken with layers of mashed potatoes in between to retain the moisture, rolled and roasted with cranberry and gravy on the side. Think Thanksgiving times three, and Chef Christopher Gallaga brings this uniquely American dish to the buffet spread at Corniche. Just a leisurely ten to fifteen minute drive from The Marco Polo, and a short ferry crossing away, Paradise Island is the city's gateway to sun, sand and sea. Luxury and personalized service for discerning business executives and leisure travelers. A private reception area and efficient staff. With the best views of the city. Located at the top two floors of The Marco Polo, The Continental Club redefines luxury in Davao. The Marco Polo offers business and leisure travelers a choice of 245 luxurious rooms and suites, all with breathtaking views of Mt. Apo or the Gulf of Davao, with a range of prices of prices to fit any budget. From comfortable Superior Rooms to luxurious Continental Club Rooms all the way to the impressive Presidential Suite, The Marco Polo has a room to fit your budget and requirements. At The Continental Club, you get more than just a room with a view. Individual butler services, business facilities and a lavish private lounge serving complimentary breakfast, afternoon tea and cocktails are just some of the perks. The last day of Davao's annual month-long Kadayawan festivities, the Pamulak Kadayawan is a floral parade along Davao City's streets, featuring some of the most elaborate floral floats from the different communities, civic organizations and corporate sectors of the city. And with The Marco Polo's VIP Stage located near the hotel's entrance, you get the best seats in the house. Since 1998, Bluegre Coffee has been at the forefront of Davao's unique coffee culture, with their own distinct signature blends. In fact, if you want a taste of Davao in a cup, Bluegre Coffee is the place. Where else can you find a unique durian blended cappuccino, only at Bluegre coffee. You read it right. Durian Coffee. Bluegre Coffee's claim to fame is its unique Durian Cappuccino, called the Durian Gatchpuccino, giving Bluegre Coffee a unique homegrown vibe and local flavor. And a distinct taste of Davao. A full day at Davao's annual Kadayawan festivities and short excursions to one of many must see sites in the "City of Blooms" can leave you just a bit fatigued. But The Marco Polo's got you covered with its Lazuli Spa, located at the hotel's fourth level, or The Deck. Named after the stone Lapis Lazuli, known for its mystical healing properties, the Lazuli Spa can soothe your weary muscles back in tip-top shape with its various massage services. Inside, the aroma of essential and therapeutic oils surround you, and almost immediately, one feels pleasantly detached from the rush of the city. The Marco Polo lends a hand in preserving one of Davao's iconic yet endangered species, the Philippine eagle. A noble and worthwhile cause that needs our support in preserving one the country's enduring symbols. From August 15-30, The Marco Polo Hotel Davao showed its support for the Philippine Eagle Foundation through a display of Philippine Eagle portraits at The Marco Polo's luxurious lobby. The Marco Polo Hotel Davao and the Philippine Eagle Foundation hope to raise public responsiveness in emphasizing the Philippine Eagle's importance in our culture and ecosystem. "We thank the growing number of donors and contributors who engage and selflessly contribute to this cause, as this helps fuel us in our advocacy. By saving the Philippine Eagle, we save all life forms that share and draw life from its habitat:, said Mr. Carlos G. Dominguez, Philippine Eagle Foundation's chairman. In addition to the photos, the display also showcases a special donation from noted designer Renee Salud with his special heritage design using indigenous fabric for the cause of the Philippine eagle. Marco Polo Davao is a corporate partner of the Philippine Eagle Center, whose mission it is to protect and its rainforest and to increase eagle population in the world through natural and artificial breeding programs. For more information, contact The Public Relations Executive at (63 82) 221-0888, The Marco Polo, C. M. Recto Street 8000 Davao. Dude for Food is now on Facebook, check out the FB Page for regular updates on good eats and hotel news. Better yet, click "Like" and enjoy the ride...just look for ther FB "Like" widget on the right sidebar. Blessed by an abundance of marine resources, Davao's local cuisine is often characterized with simple flavors using the best and freshest local seafood grilled to perfection. And no culinary tour of Davao would be complete without a stop at one of the city's most popular seafood restaurants, the Yellow Fin Seafood Restaurant. Named after the iconic tuna found in the region, Yellow Fin Seafood Restaurant serves some of the best and freshest seafood in Davao. And if the best way of really discovering the city is going where the locals eat, then Yellow Fin Seafood Restaurant offers the best introduction to Davao, the "City of Blooms." Offering a wide array of local favorites, Yellow Fin Seafood Restaurant is truly "Deliciously Davao." The Polo Bistro is located at The Marco Polo's 4th Level, or The Deck, a recreational, wellness and dining level that features the hotel's 25 m swimming pool, a fitness center, the Lazuli Spa as well as The Marco Polo's special cabanas and rooms with direct access to The Deck's facilities. And if it's grilled seafood and prime meats you're after, including a sampling of special dishes which garnered gold and distinction awards from the Mindanao Culinary Council, The Polo Bistro is the definitely the place. There's just something about a comforting and leisurely breakfast at the break of dawn. The shifting light, the peaceful stillness, and the aroma of warm bread and coffee are just some of the elements that make an early morning breakfast special. Add warm and friendly service, great food, and some measure of privacy away from the crowds, then there's one place that fits the criteria for a special early morning breakfast. The Continental Club Lounge of The Marco Polo is exclusive to members of The Continental Club as well as guests in The continental Club Suites located at the 17th and 18th floors of the The Marco Polo. Located at the 17th floor, The Continental Club Lounge offers a panoramic view of the city and a perfect vantage point to catch the sunrise, which makes it the best place in the entire city of Davao for an early morning breakfast. As with previous Kadayawan festivals, The Marco Polo has a special stage directly in front of the hotel where the parade stops to perform their mandatory numbers. The Marco Polo has since been the first stop for all contingents, with the second stop at Davao's City Hall as the different contingents dance their way through the city's streets. The Marco Polo stage provides an excellent vantage point, and a cool opportunity to get up close and see the festivities in a whole new perspective. "Kadayawan" comes from the ethnic Mandaya greeting "madayaw" which loosely translates to something precious or valuable, beautiful and good. In thanksgiving to the region's bountiful harvest, the Kadayawan reflect's Davao's rich cultural heritage and diversity, as well as a positive outlook on the future with Davao as one of the country's most progressive cities. Located on the second floor of The Marco Polo, Cafe Marco offers impressive breakfast, lunch and dinner buffets daily as well as international a la carte dishes. 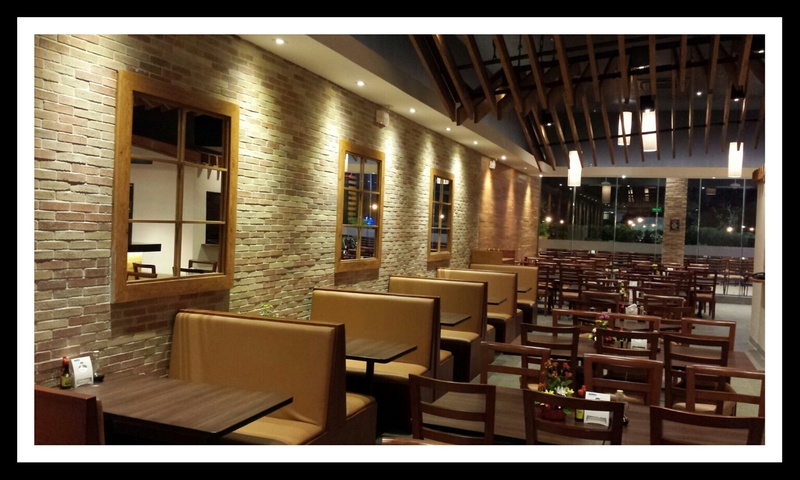 Choose from a variety of Filipino, Spanish, Italian, Mediterranean, Asian and international dishes in a casual yet elegant space. And for breakfast, you're just an elevator ride away to everything you need for a power breakfast. Davao City is a melting pot of different cultures, and this rich diversity is reflected in the popular culinary heritage of the city. The Marco Polo Davao has several restaurants and bars featuring local and international cuisine, including some of the best Cantonese dishes in the city. Our very first day at The Marco Polo starts with a luxurious Cantonese feast at Lotus Court, as we kick off the first day of our four day adventure in the "City of Blooms." Located at The Marco Polo's third floor, the Lotus Court offers the finest authentic Cantonese cuisine and the freshest seafood in Davao City. With spacious and elegant interiors including three private rooms, the Lotus Court can easily handle an intimate meal for two or large groups and functions. With Head Chef Rolly Bulitan at the helm, with years of experience and the freshest ingredients from the region, you can expect nothing but the best from The Marco Polo's Lotus Court. Situated in the heart of Davao City, The Marco Polo is right in the center of the city's business and commercial district, and just a 20 minute drive from the Davao International Airport. Part of an Asian-based hotel group, The Marco Polo has 13 luxurious properties in Hong Kong, China, Thailand and the Philippines, key Asian business and leisure destinations combining Asian warmth and western comfort. And there's no better place to stay in Davao, the "City in Bloom," than The Marco Polo. URBN Bar & Kitchen's New Bar Chow...And Desserts. 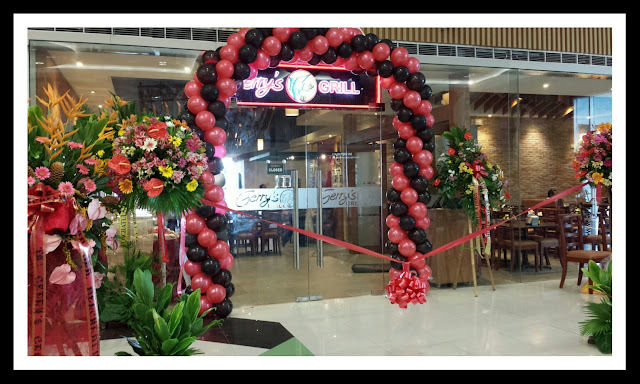 Gerry's Grill opens its 58th branch at SM Southmall, part of an aggressive expansion program with plans to open eleven more branches scheduled for the second half of 2013. "The demand for dining continues to grow with the economy picking up, and with more malls opening in major cities around the country. We hope to ride the surge of demand in food service," Gerry Apolinario, president and chief executive of Gerry's Grill operator Prime Pacific Grill Inc. (PPGI), said. For more information on Gerry's Grill, log on to www.gerrysgrill.com. Dude for Food is now on Facebook, check out the FB Page regular updates on good eats and food news. Better yet, click "Like" and enjoy the ride...just look for the FB "Like" widget on the right sidebar. Established in California back in 1982, The Cheese Steak Shop specializes in Philadelphia-style cheesesteak sandwiches using grilled steak, onions, sweet and hot peppers, American and provolone cheese and the iconic Anoroso roll. Just like the real thing back in Philly, only at The Cheese Steak Shop. To maintain the standards and authenticity of their products, The Cheese Steak Shop imports most of the components for the iconic cheesesteak, including the mandatory hearth-baked Amoroso roll, made by the family run Amoroso Bakery from Philadelphia. From the same family behind the iconic Aristocrat chain of restaurants and the Reyes Barbecue, Alex III has been serving familiar favorites from family recipes, including the popular chicken barbecue with Java rice and sweet barbecue sauce as well as other Filipino and Japanese dishes. Familiar and comforting, Alex III continues the family tradition of serving timeless classics, all made from scratch, sourcing the best local and imported ingredients for all its dishes. With the second generation at the helm of Alex III, the family recipes are preserved to savor and enjoy for many more years. Premium Wagyu Ribeye and grilled prawns with a side of creamy mashed potatoes and buttered vegetables. Just doesn't get any better than this. Long known for its cool tapas, cocktails, Spanish and continental cuisine, Relik Tapas Bar and Lounge now offers a range of Lunch Specials at a reasonable price of P 199, with complimentary iced tea. More than enough reason to stop by Relik while the sun is still up. While at Relik Tapas Bar and Lounge, why not enjoy some of their signature tapas? Start your meal with Relik's Pinchos, an assortment of crisp crostini topped with Bacon and Egg, Chorizo Pamplona and Aioli, Confit Tuna with olives and capsicum, Chorizig and Aligue (crab fat) cream, and Sauteed Shrimp with mango and pepper salsa. Or you can try another of Relik's bestsellers, Relik's Baked Australian Brie (P 530), a creamy Yarra Valley Brie wrapped in jamon and lightly glazed with honey, and Deep Fried Manchego Cheese (P 300), panko coated Manchego cubes with honey and cayenne, served with crostini and a side of fresh tomato salsa. A cocktail or two before lunch? Why not. Sixteen years since the opening of the very first California Pizza Kitchen branch in the country, CPK continues to be the "pizza authority" in the premium pizza segment with its innovative pizzas inspired by global flavors and premium ingredients. California Pizza Kitchen was the very first foreign franchise managed by Global Restaurants Concepts back in 1997, and GRC's current portfolio now includes IHOP, PF Chang's, Morelli's Gelato, Gyu-Kaku and Mad for Garlic. Sixteen years later, CPK opens its tenth branch at Eastwood, with an eleventh branch in the works. Unique, premium pizzas made with the finest ingredients established CPK as different and distinct from the rest, and sixteen years later, CPK remains true to its brand DNA with its signature gourmet pizzas. This commitment to quality often results in the frequent air freighting of premium products and ingredients just to maintain CPK's standards and brand DNA, bringing some of the best pizza creations and flavor combinations. If I were to choose just one restaurant in Manila, for whatever and any reason, it would be Lolo Dad's. It's just that kind of place, and well worth hitting the road despite the color coding. It was raining that evening, as I weaved through the back streets to avoid being spotted, but this was definitely one of those days to risk the color coding ban. It was, after all, dinner at Lolo Dad's. An ancestral home of the Ayuyao clan for generations, the property has survived some of the most violent chapters in the city's history, including the fall of Manila in the second world war, and its equally violent liberation. And if you look closely, you can still find isolated bullet holes in the old wooden walls, a reminder of turbulent times. In 2000, the property was given new life, converting the old home into one of Manila's finest restaurants. And for thirteen years, chef Ariel Manuel continues to create some of the best dishes in the metro. If you're looking for the best Rack of Lamb, Chilean Seabass and pan-fried foie gras, this is the place. The Cake Club serves some of Diamond Hotel's savory bestsellers from its Lobby Lounge, more than enough reasons to start your evening at The Cake Club. Comforting dishes using the best and freshest ingredients, with a wide selection of wine and tea to go with your meal, not to mention The Cake Club's signature desserts. All in one place. A glass of wine and an indulgent dessert. I was always curious about pairing wine with dessert, and doing it right. Now you can ditch the complex guesswork, and leave the often mysterious process of pairing wine and dessert with the experts. The Cake Club, in collaboration with Sommelier Selection, introduces Sommelier Wine Flights, a unique dessert experience. Indulgent desserts and a selection of premium wines, all in one place. Diamond Hotel's The Cake Club offers some of the best and elegantly crafted desserts at Bonifacio High Street, with its extensive line of exclusive and signature creations. Partnering with Sommelier Selection, The Cake Club's latest offering takes dessert to the next level, and having dessert at The Cake Club becomes an experience like no other.